We have had a lovely final week completing challenges set by Mrs Revell. 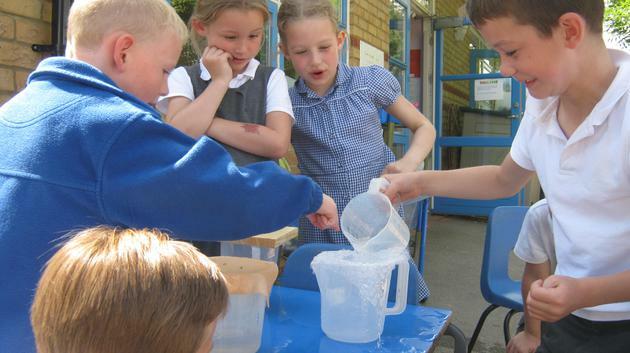 We have really enjoyed Year 2 this year and the children have really grown. I wish them all the best as they enter Year 3. Have a lovely holiday everyone! We had a very exciting time on Thursday morning. We had a visit from a member of the RNLI team, Mr Oxford, to teach us about how boats have changed over time since the times of Grace Darling. We looked at how technology has helped the evolution of boats and how the RNLI uses different types of boats for different types of rescue. We learnt what dangers to look out for at the seaside, rivers and lakes. We learnt what to do if someone gets in trouble in the water. We also learnt how to tie knots, read marine maps and throw a buoy to someone who may be in trouble. Throwing a bouy out to sea! 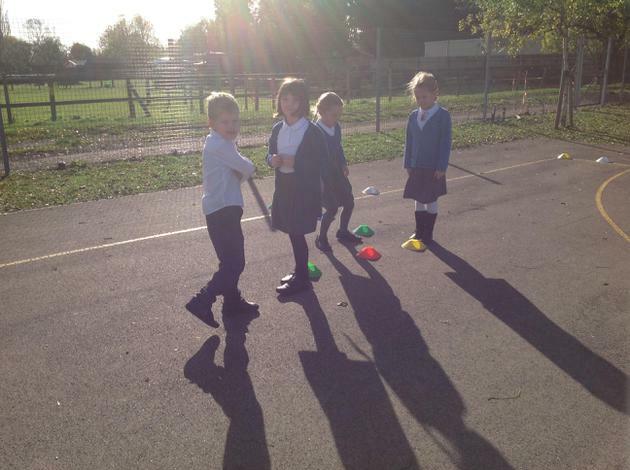 We have had some lovely learning outside this week! 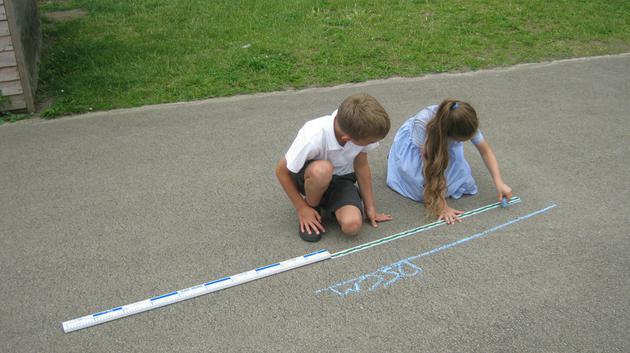 We measured and drew out lines which is the same length as a baby bird and adult bird's wingspan. 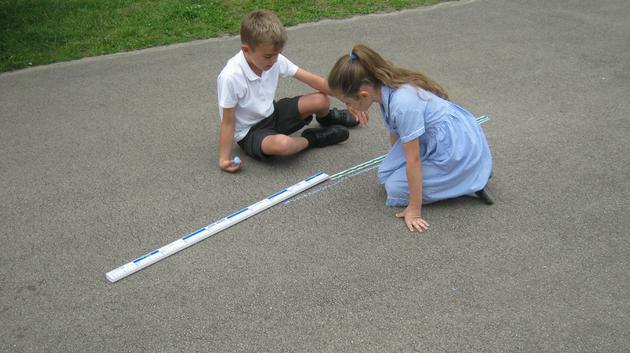 We used metre sticks and found out there were 100cm in a metre. 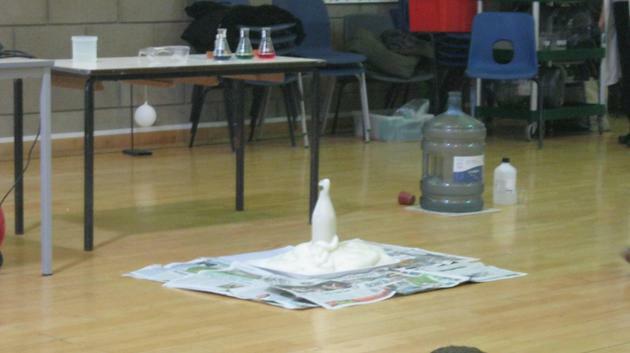 Some of the birds had big wings! 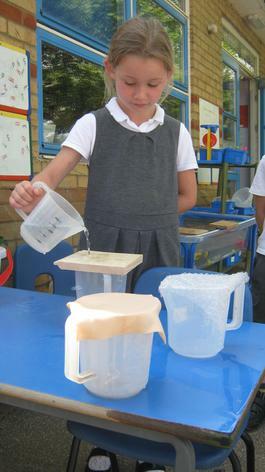 We also tested which material would be the best material to make a bird house from. 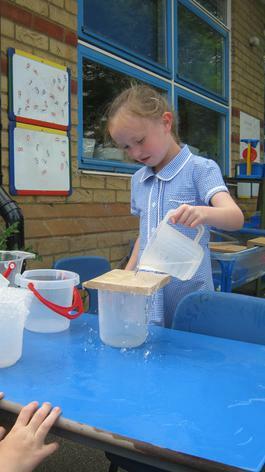 We decided a bird house needed to be strong, stable and waterproof. 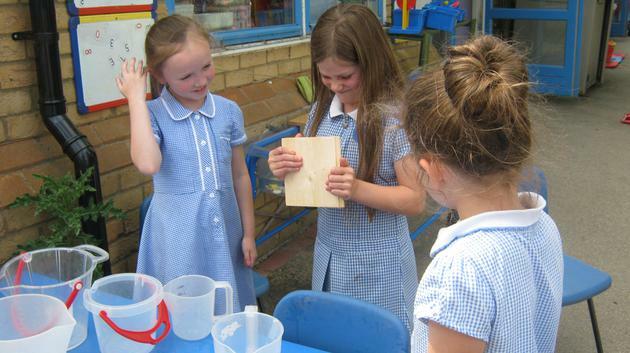 We tested wood, bubble wrap and felt. 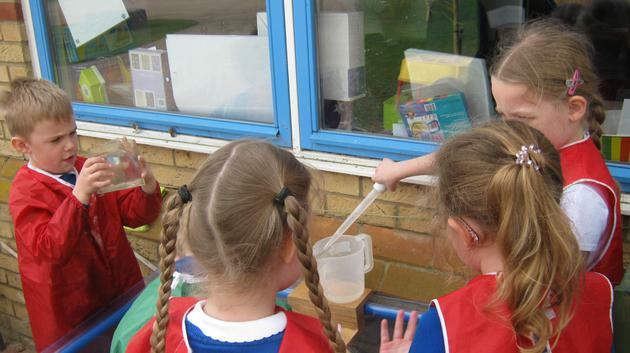 Using our knowledge of maths we measured water to make it a fair test, and poured water over the materials to see which material kept the most water out. 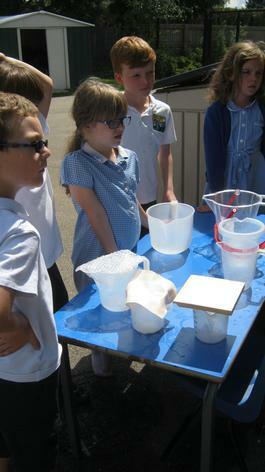 We had great fun with the water in the sunny weather! We have had a busy week this week. We took part in our whole school production in which we sang songs from Annie the musical. We hope you enjoyed it?! 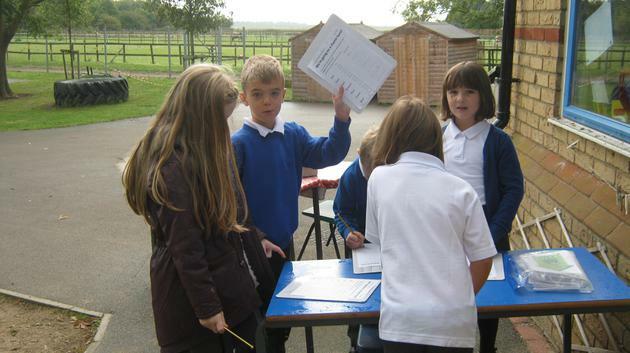 We have also continued our enquiry based learning on our chosen birds. 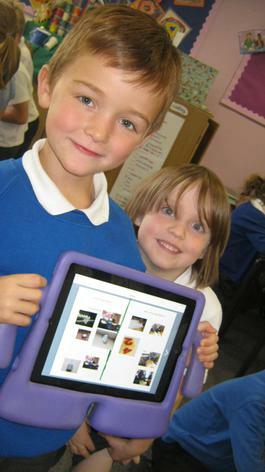 We have been writing a factfile on the birds by developing our skills of researching them using the iPads first. We now know how to research information on the internet using key words. 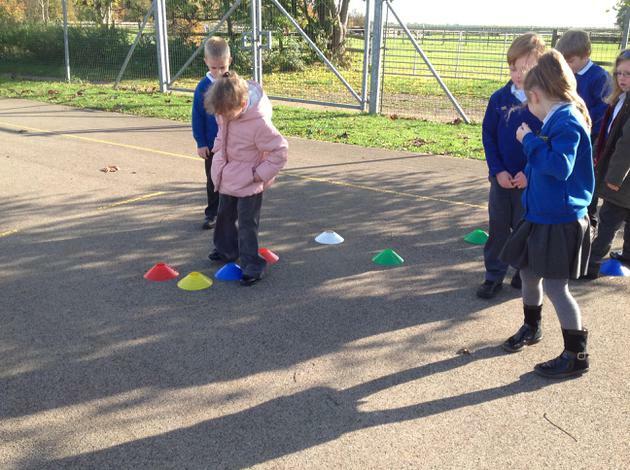 We have also been using birds to help us develop our knowledge of position and direction. 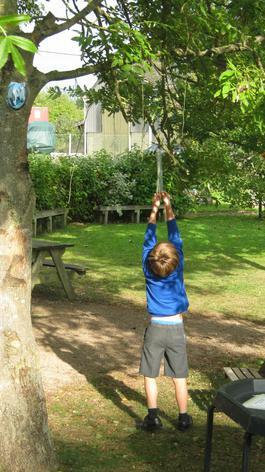 We have been enjoying the hot weather this week in our outdoor learning environment, extending our learning on our chosen bird of prey. We have had an excellent day at The Raptor Foundation. We saw all the birds we wanted to see and found out lots of information ready for our projects. We dissected pellets and tried to match the skeletons to the sorting diagram. We found some excellent finds! 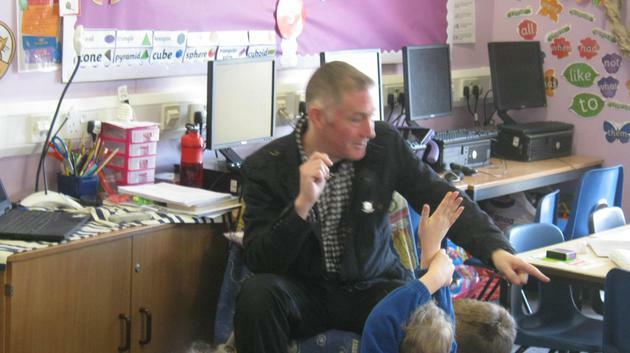 We helped the staff train some young owls to get use to children and the public. Some of us also held a giant snail and a tortoise. At the end we watched a flying demonstration of owls, Harris Hawks and falcons. We were even allowed to let the small owls fly to use. They were very funny as they kept chasing each other for the food. We chose a bird to research. Some children built a bird training camp. Writing about what we have built. Other children built a bird house. We drew and wrote a story on our chosen bird. Then he wrote about it. 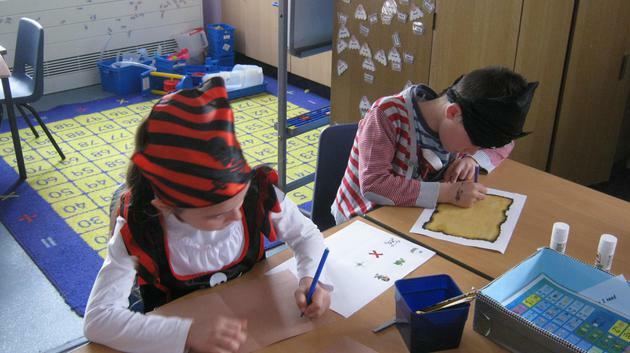 We have had a great day today, celebrating World Book Day! We started the day exploring books and writing down the similarities and differences between them using a Venn diagram. 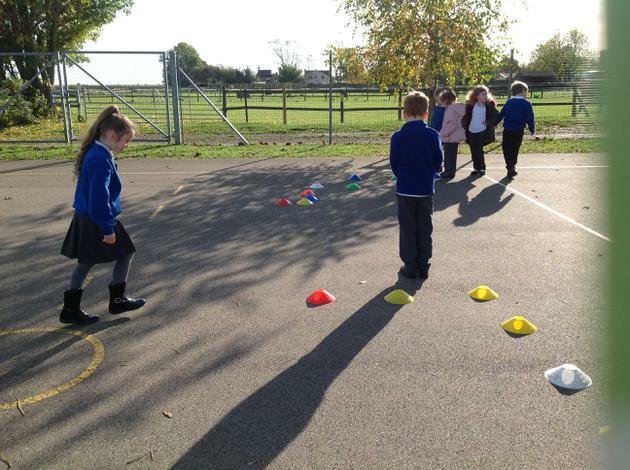 We also completed our star jumps challenge. We managed to jump 52 star jumps altogether in one minute. Well done Beech class! We hope you have a lovely half term and we look forward to seeing you again in June! The children have been working really hard this week with their SATs. Well done Beech class! Mrs Revell had a telephone call from Mrs Grinling who asked Mrs Revell if the children could grow some cress for her to put into Mr Grinling's sandwiches. 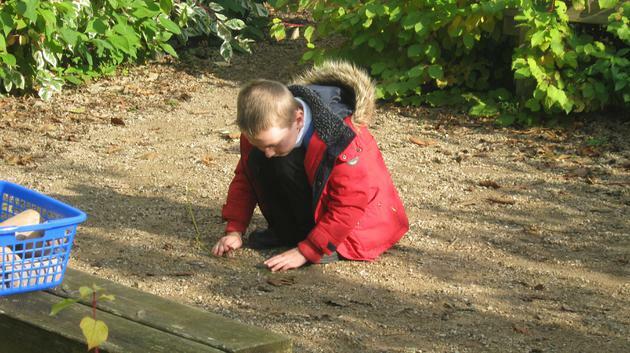 The children planted the seeds and put them into different places in the classroom or outside. Some children even made scarecrows to scare off the birds!! 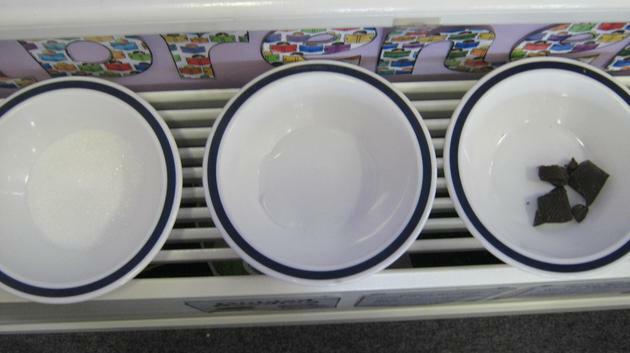 This week we have been investigating what cress needs to be able to grow. On Tuesday we planned our fair test and then carried it out. 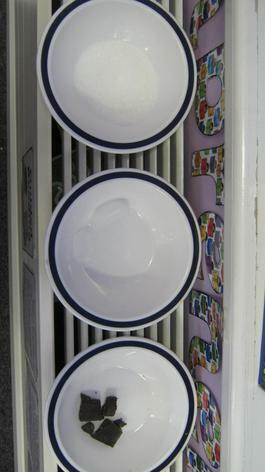 We planted two lots of cress seeds in cotton wool, and only watered one of them. On Friday afternoon we looked at what happened. 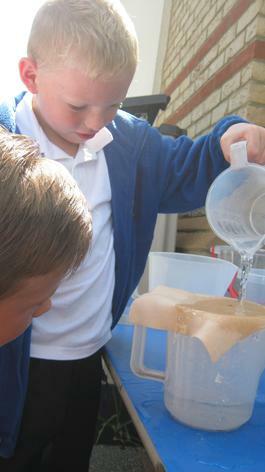 We found the cress seeds which were watered grew, and the cress seeds which weren't watered didn't. But we also found something very interesting! Some cress which were watered did not grow as well as others. So, we discussed why we think this happened. 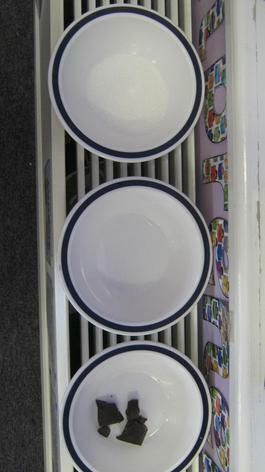 We came to the conclusion that all the cress were put on the radiator. 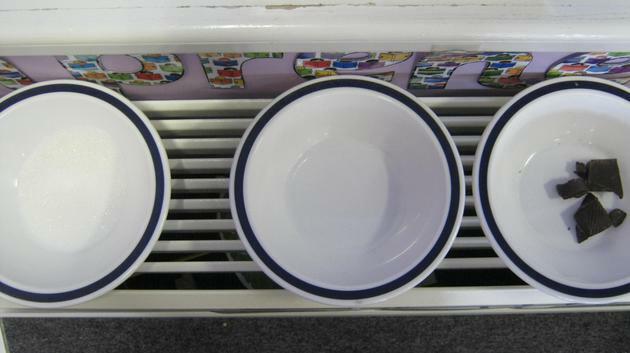 The cress which did not grow so well did not have as much water as the others and the heat from the radiator absorbed that water, not giving the cress chance to grow. 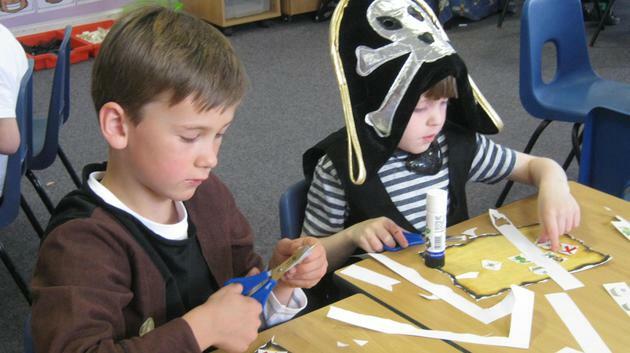 We had a fantastic Pirate day earlier this week. 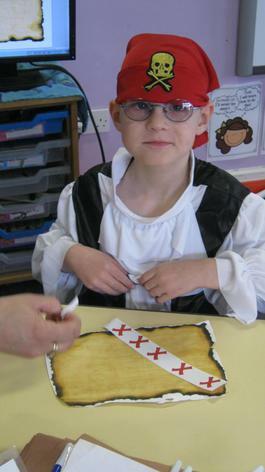 We all looked wonderful in our pirate outfits and took part in the pirate day activities. 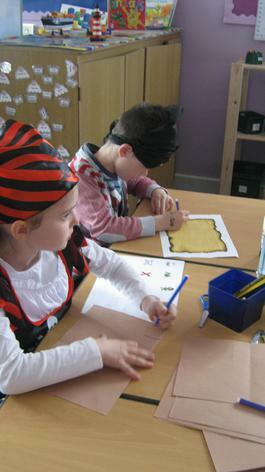 We played pirate games, looked for treasure, made fruit kebabs and we made our own treasure maps. 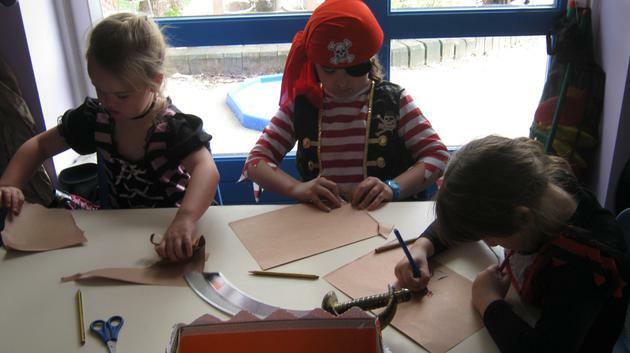 We also learnt how to speak like a pirate too.....Ooh Aah me hearties! Welcome back after the Easter holidays! We have started our new summer topic, studying The Lighthouse Keeper's Lunch story. We started the topic by listening to the story and then role playing it with our friends. We then proceeded our Literacy work by writing a book review of it. 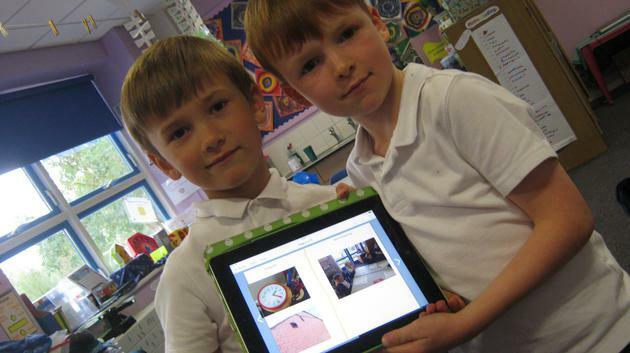 In Computing we need to re tell the story of The Lighthouse Keeper's Lunch through the use of iMovie. 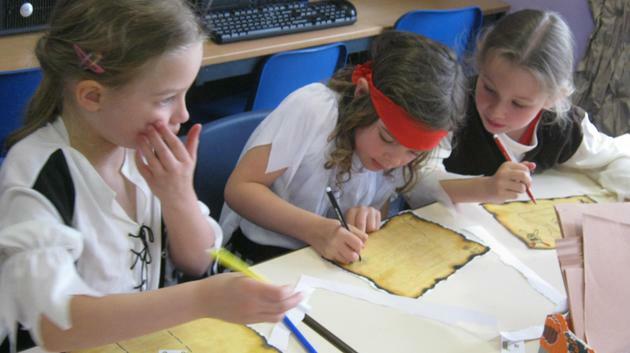 We have started to map out our story boards and prepare the props ready for lights, camera, action! next week. 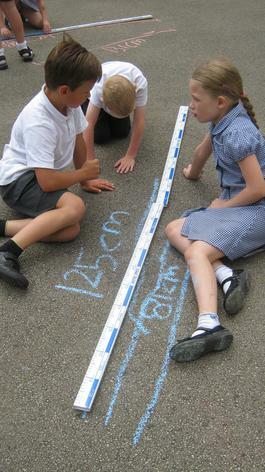 We have been learning about data in Maths this week. 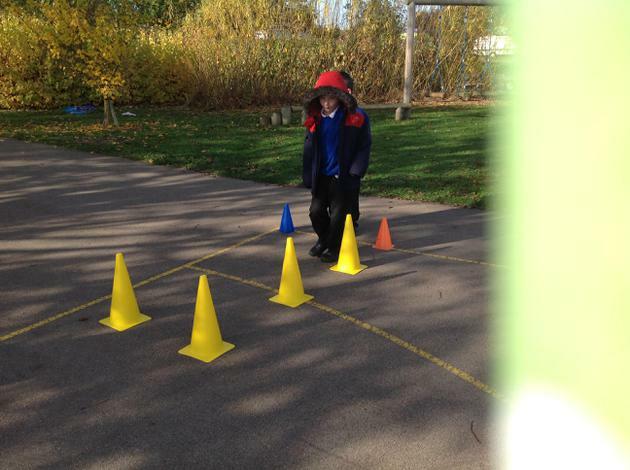 We went on a shape hunt around the classroom, looking for 3D shapes. 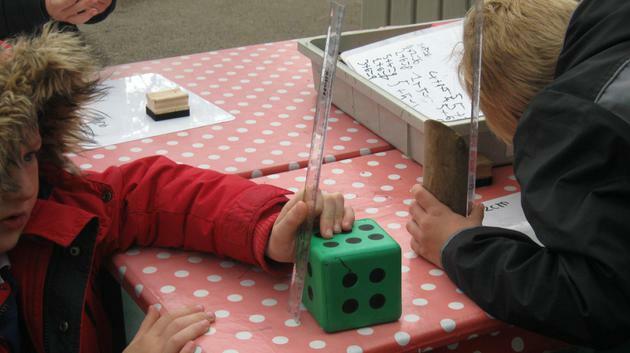 We then used tallies to show how many of each shape we saw using a tally chart. 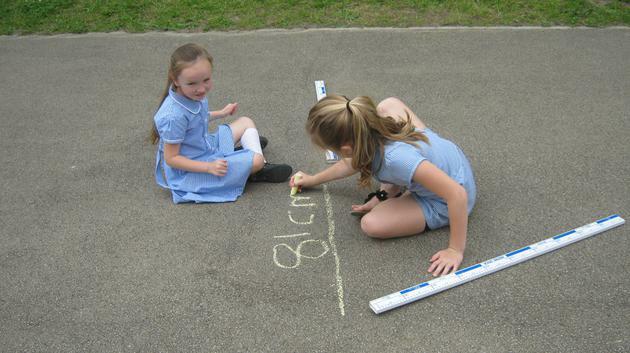 We used this information to then create a pictogram and a bar chart. Finally we answered questions on our bar chart using new vocabulary such as: fewer than, more than and difference. 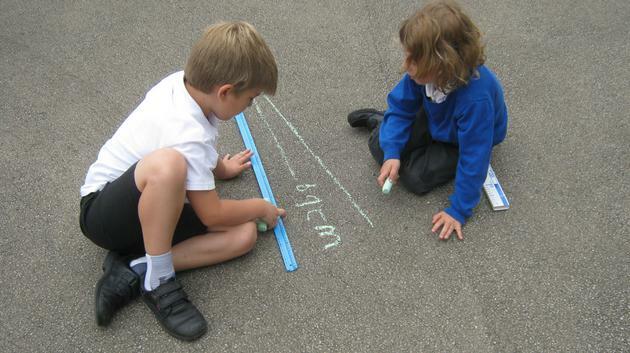 When we were practising other areas of Maths we looked at adding different amounts of money together. This was on the same day as the new £1 coin was released, which has 12 sides. Today someone bought in the new £1 coin which they were luckily given. Wow! 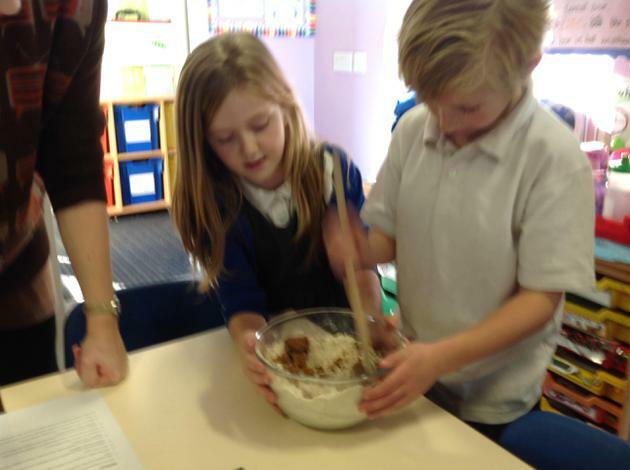 We have been continuing to write our stories on the dinosaur growing bigger and bigger, when he ate his chocolate cake! We used toy dinosaurs to help us write adjectives with suffixes to make our writing sound more interesting. 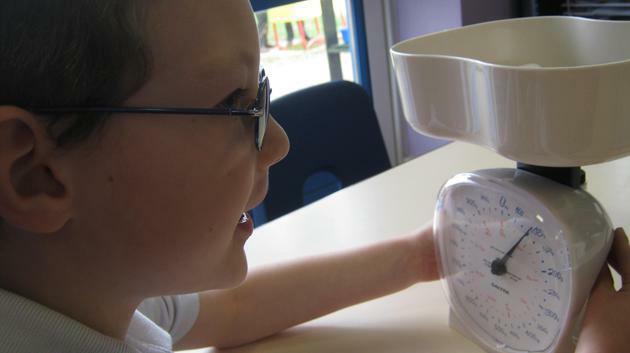 We have been learning to read scales this week. 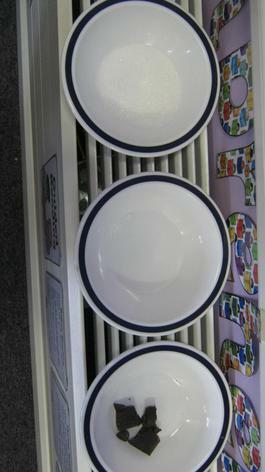 These include capacity and weighing scales. We quickly realised we needed to use our 2, 5 and 10 times tables to help us work out what the hidden numbers on the scale were. 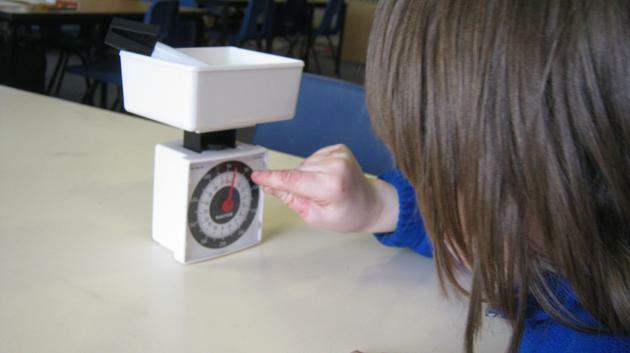 We had fun trying to find objects around the classroom to weigh. 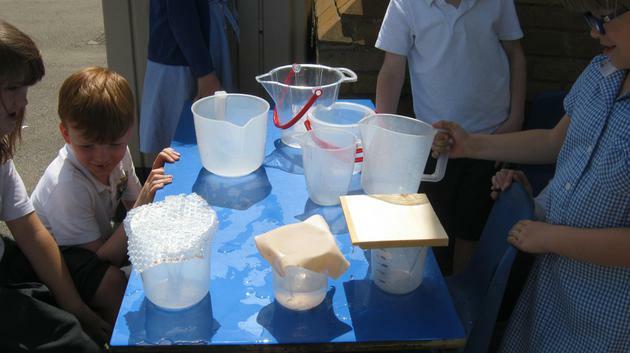 We extended our learning in the water area and used different capacity jugs to practice our scale reading. 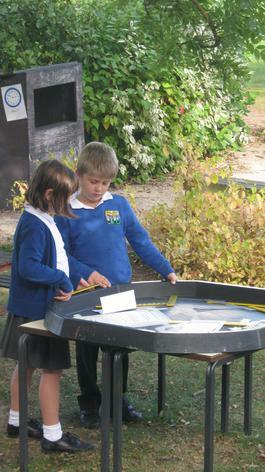 We have used our enquiry based learning areas to develop our topic of 'dinosaurs'. Some of us built a dinosaur jeep and plane to catch the dinosaurs with. Some of us used our shape knowledge to build a dinosaur area whilst some of us continued with making a dinosaur packed lunch. We also continued to set up our dinosaur powerpoints. 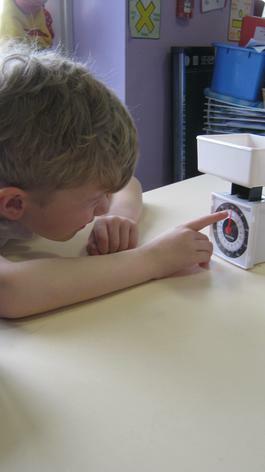 We have been learning to read time this week using quarter past and quarter to. 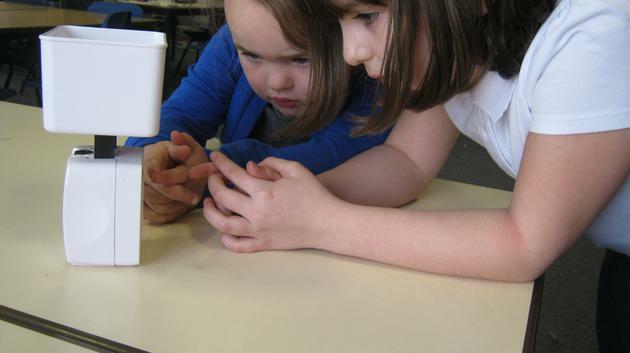 We have learnt to read, make, match and draw time. 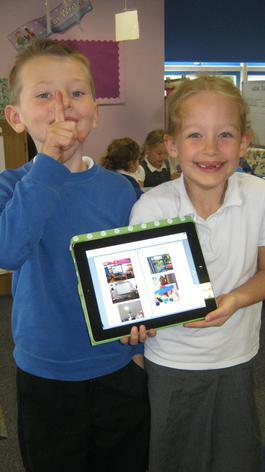 We have been using our talking partners too, to help us. Some of us have also started to make a powerpoint presentation all about dinosaurs! We have learned to open up a new presentation, insert a picture, resize and move it and then save the presentation to work on again next time. 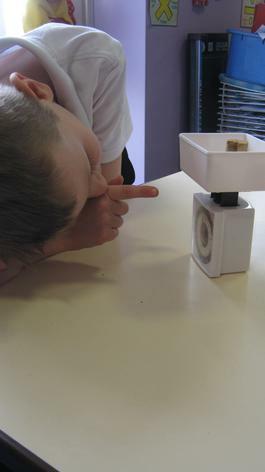 We have also been developing our learning through Enquiry Based Learning. 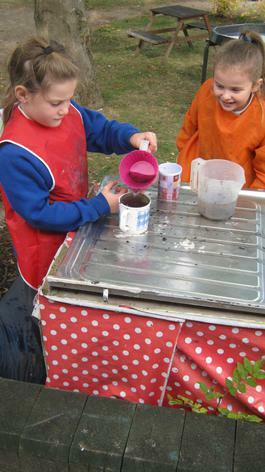 We have been using the mud kitchen to make a dinosaur packed lunch, using the water tray to measure capacity and the Maths area to practice our maths and spellings! 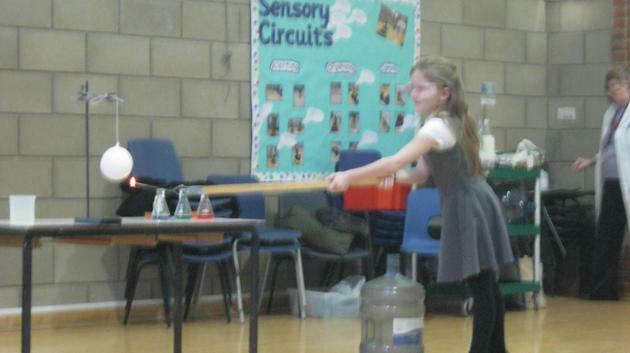 It was Science week this week! We predicted the ice and the chocolate would melt. 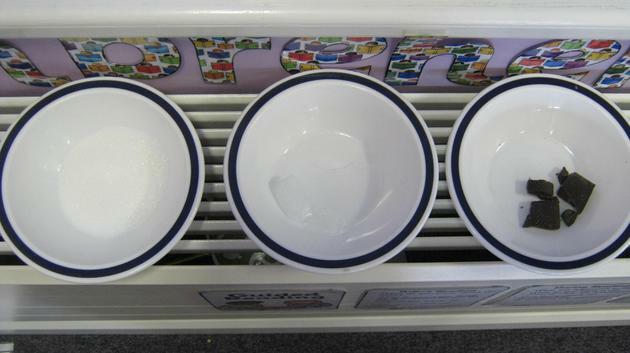 We learnt that to be a fair test, we need to ensure everything stays the same except for the solids we are trying to melt. 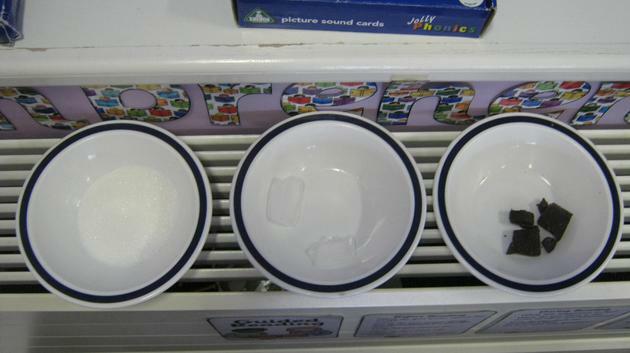 These solids were: ice, sugar and chocolate. 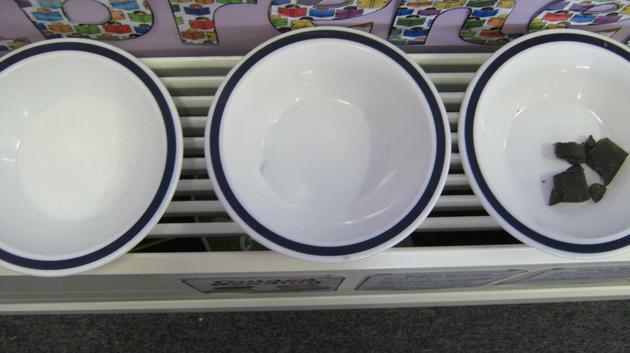 We decided to apply heat by using the radiator in the classroom. 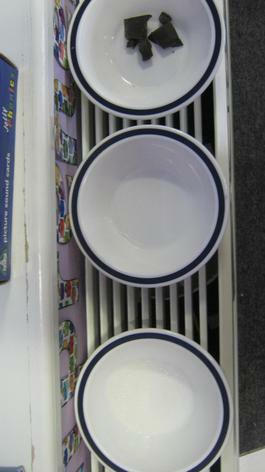 We looked at the solids every 15 minutes, using our knowledge of o'clock, quarter past, half past and quarter to times. We took pictures (see below). 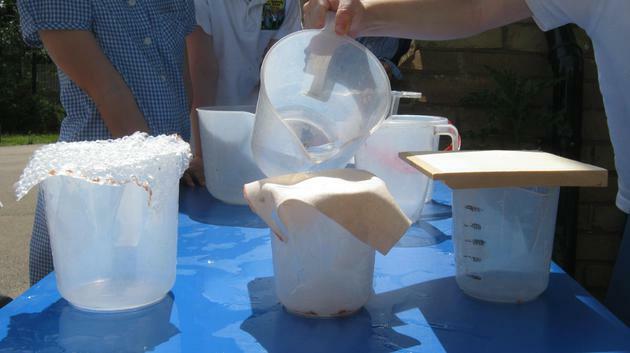 We noticed the ice melted quite quickly but the chocolate did not melt at all. We discussed why the chocolate did not melt like we predicted. Therefore, we decided if we did this experiment again we would need to apply more heat to the chocolate to make it melt. The different ways we thought of were 1) microwave the chocolate 2) put the chocolate in sunlight 3) melt the chocolate over a pot of boiling water 4) use the steam of the kettle to melt the chocolate. 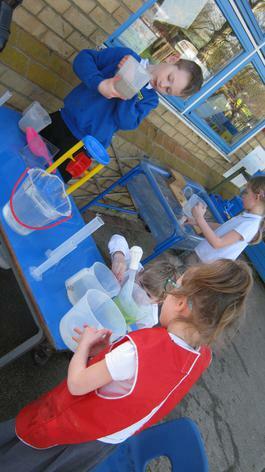 On Friday we showcased all our work in the school's Science Market Place. 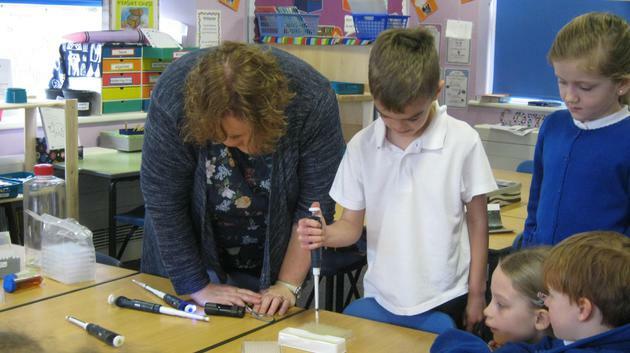 We also had lots of visitors in the classroom too! 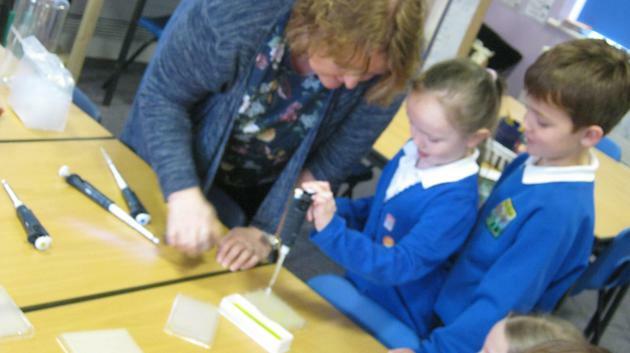 These visitors discussed their jobs with us and the links to Science their jobs have. We found them all very interesting and interactive! Thank you visitors! 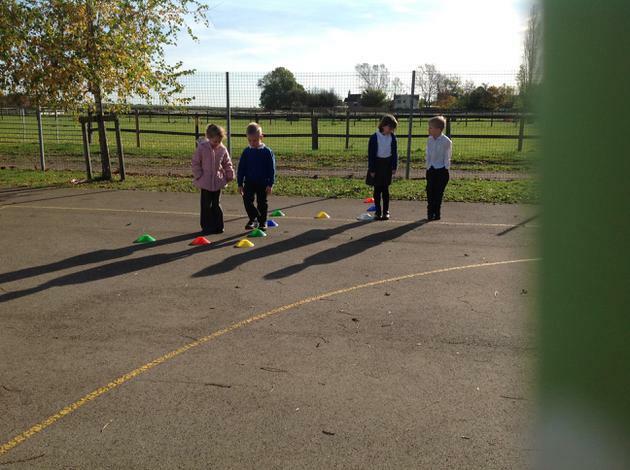 We are very excited this week as we have started our dinosaur topic. We have had the opportunity to research dinosaurs by pretending to be paleontologists and gathering facts about them. We even started to make fossils using salt dough and toys dinosaurs. 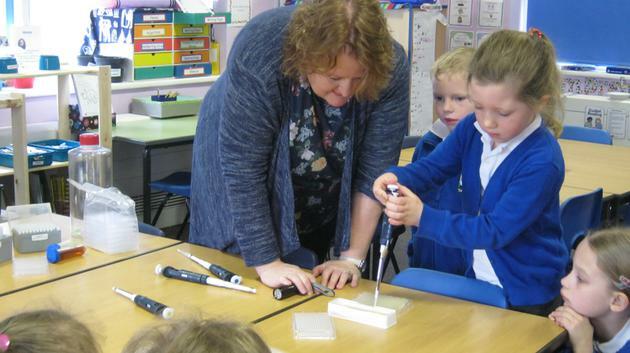 This will continue into next week to ensure everyone gets to make a fossil! Making a dinosaur out of Lego. We have been continuing with our fractions work this week. We have been using our knowledge of division to divide the number by the fraction's denominator. 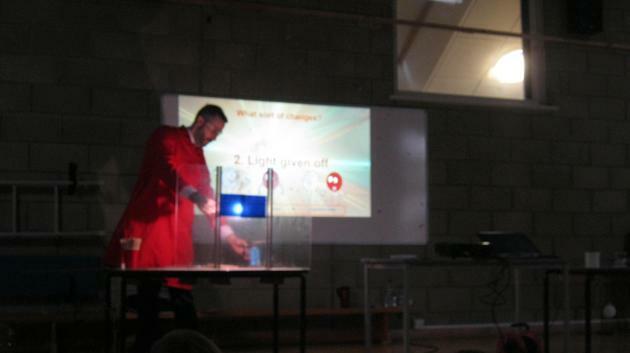 We also had a very good assembly this week. We shared our story of Class 2 at the zoo, but we put our own little twist on it! 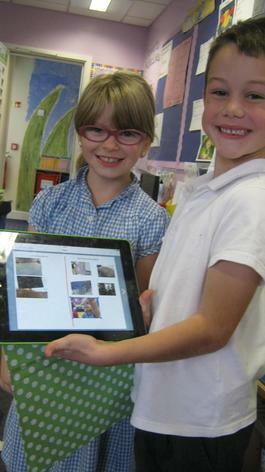 We were very proud to show off our work to our visitors. 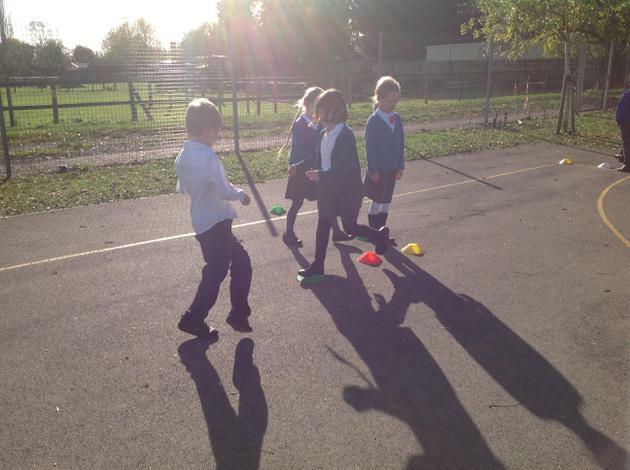 We have also been continuing to practice our hockey skills, playing a small team against each other. We have started looking at fractions of number this week. 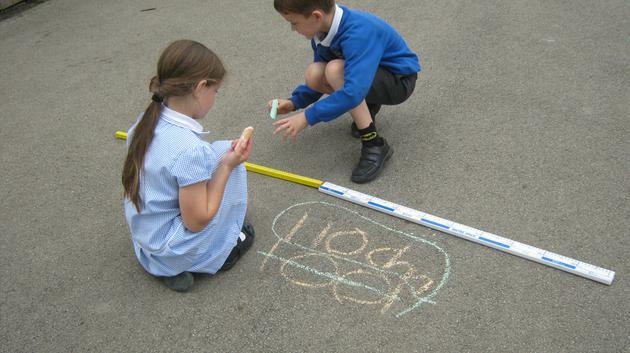 Mrs Revell set us the challenge of investigating whether fractions can be found of a particular number under 20. We found that: 1/4 of 15 does not work, but 1/4 of 20 does. We found that 1/3 of 16 does not work, yet 1/3 of 12 does. We also found that 1/2 of 8 works but 1/2 of 7 does not. That's because 7 is an odd number! Can you investigate the following? 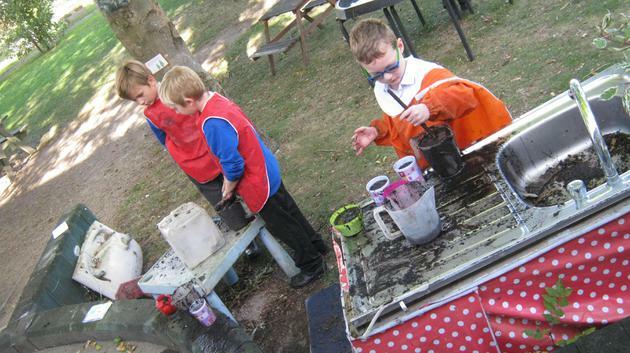 We have had a new look to our outdoor learning environment. 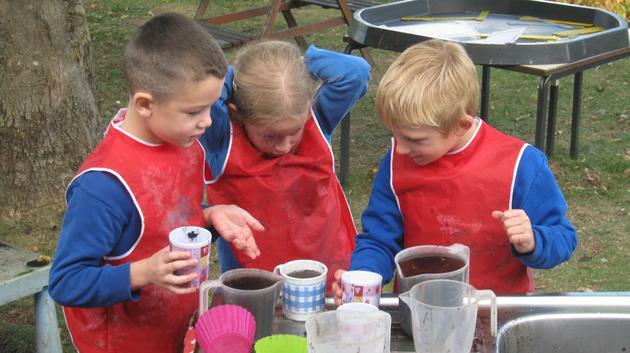 The mud kitchen has grown in size! 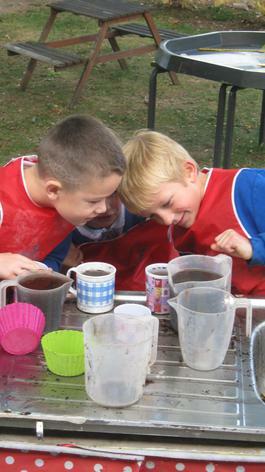 The children have had fantastic time trying it out and making a tea party for anyone who would like to visit! 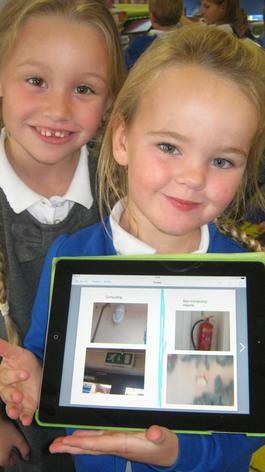 We have also been continuing our learning on how to stay safe using technology. 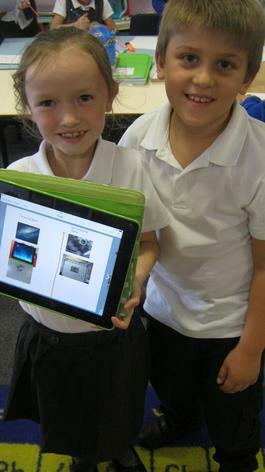 We learnt what information we could share with others via the internet and what information we need to keep private. Today we went to the woods! It was very cold and frosty which made it all the better. 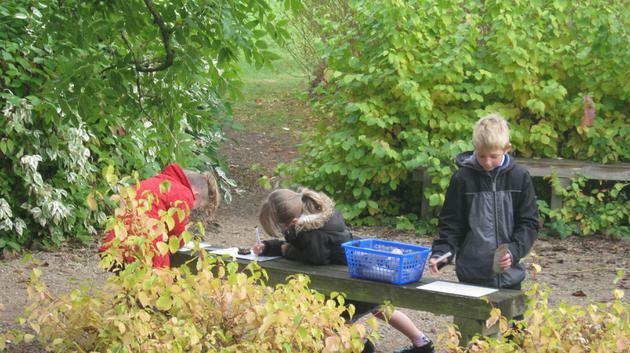 We walked to the woods and learnt the difference between a habitat and a micro-habitat. We then went on a micro-habitat hunt. We found lots of snails and only a few slugs. 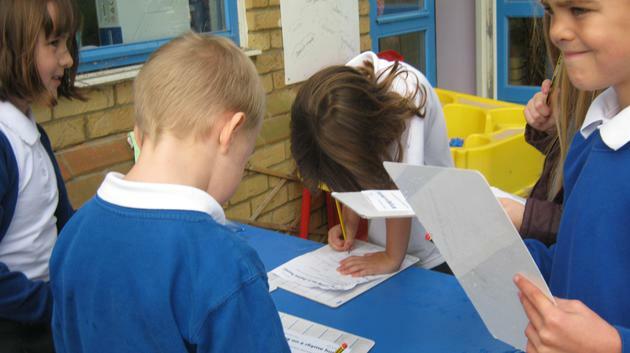 We then used the opportunity to practice writing our noun phrases and questions. Why is it so cold and icy? Why is there a frost? How did the tree get so big? Something strange happened over the weekend. 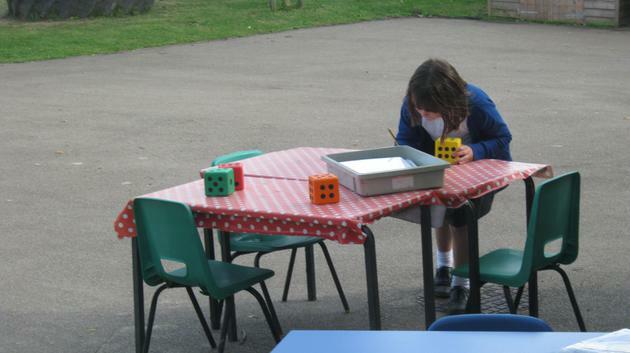 It seemed that we had a visitor which left clues in the outdoor learning environment. We found out it was Sir Edmund Hillary. He, along with Tenzing Norgay, was the first climber to reach the top of Mount Everest - the highest mountain in the World! He left behind a letter. 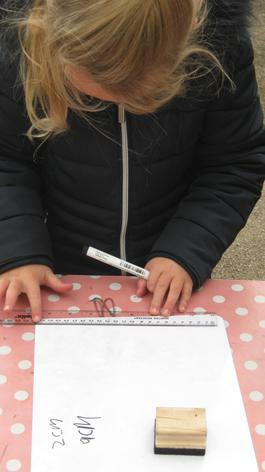 We are now using this letter to explore and develop our letter writing skills. We also used these clues to find out more about the Mount Everest climb using our computing skills we learned last week. 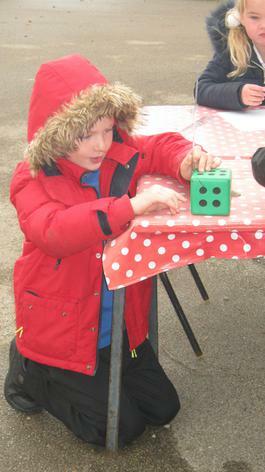 We have also developed our repeated addition and multiplication skills. We have been writing repeated addition for arrays and using the repeated addition to write multiplication calculations from. This is an area we are continuing to develop. We have had a lovely start back to the New Year and there have been some changes in the classroom! 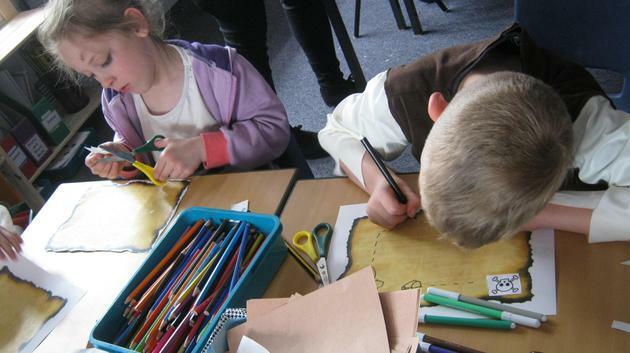 Children writing about what they have made. The children can make something topic related. 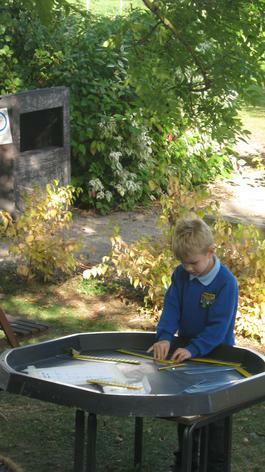 Children exploring in the water area. Everyone at Beech class would like to wish you a very Happy Christmas and a wonderful start to the New Year. We look forward to working with you all again in 2017! We have had a very exciting week this week! We had a visit on Wednesday from Sarah from the kitchen. 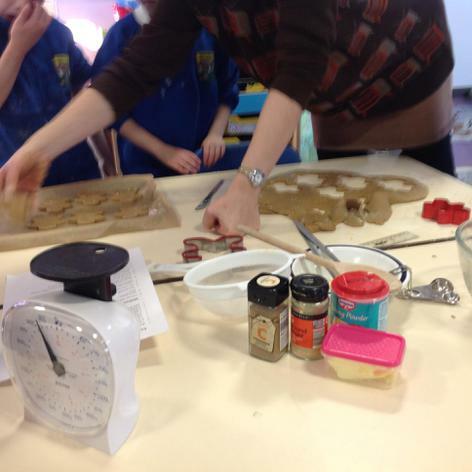 She explained that as it was coming up to Christmas they were thinking about making some gingerbread men, but they couldn't remember how to make them! She asked if we could help by writing some instructions for them to follow. 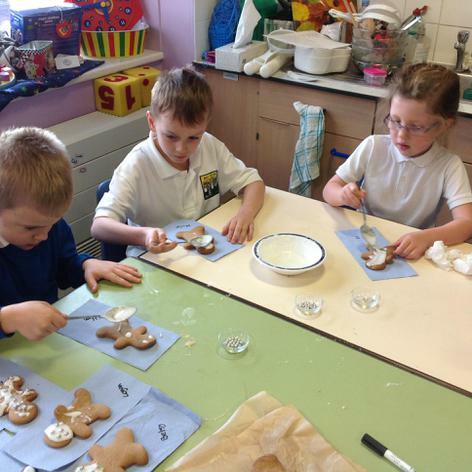 So... on Wednesday we had lots of fun making and then decorating gingerbread men. 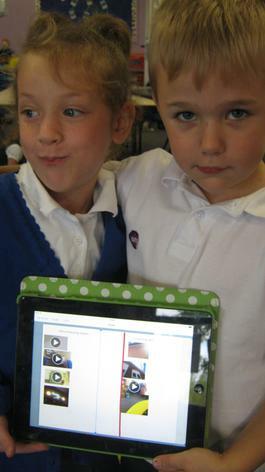 We took lots of photos, that we are going to use to help us write our instructions next week. We have been continuing with our instructions in literacy this week. In groups we explored the different types of words that instructions have in them, and how we could make the instructions really clear to follow in a logical order. In literacy we have been learning all about instructions. We have learned the instructions for 'How to make jelly', and have been using 'Talk for writing' where we use actions to help us! 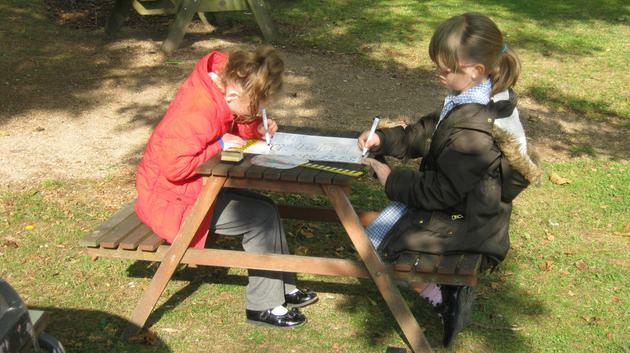 We also then created text-maps, where we drew pictures for the words to help us remember it. 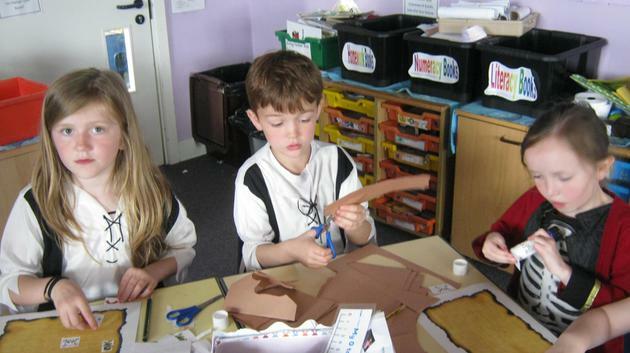 We are exploring different fabrics and weaving in D.T this half-term. 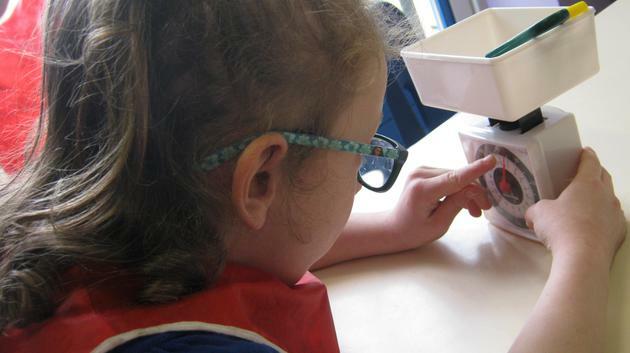 We experimented and had a go at making a paper loom. We used the inspiration of bonfire night and fireworks to select the colours we were going. Have a look at a selection of our paper weaving from our classroom. 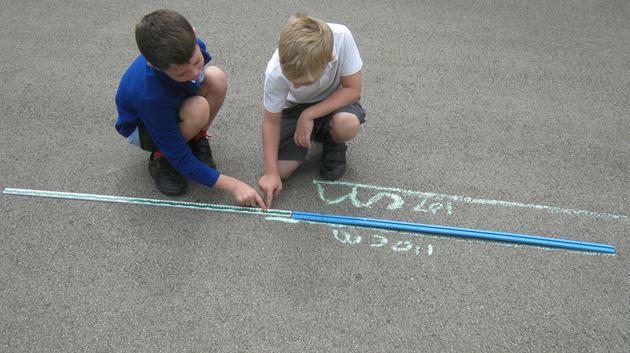 This week in maths we have been learning about directions and turning. 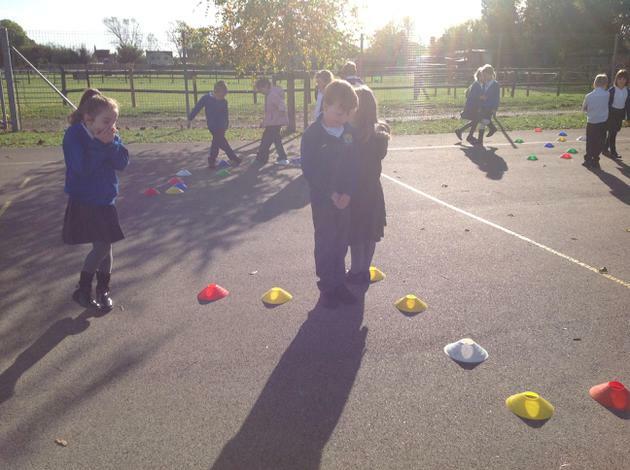 We were robots and had to follow our partners instructions! 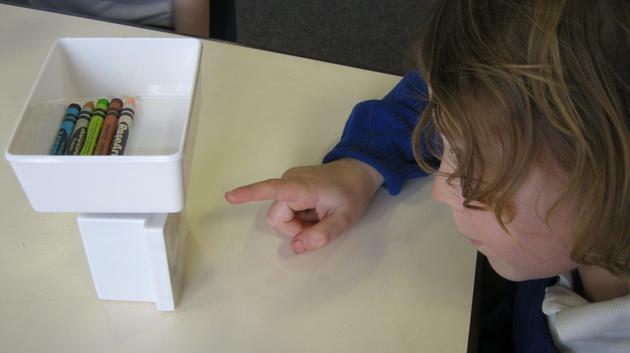 But... the robots only understood certain phrases like 'quarter turn', 'half turn', 'clockwise', and 'anti-clockwise'. We had a special visitor come to visit us this afternoon. Belinda Carson came to talk to us about her nurses training, as she trained at a Florence Nightingale hospital in London. She showed us what uniforms she had to wear, what the hospital was like and what it was so important to keep the hospital clean. She told us why Florence Nightingale was so important to nursing. We then discussed the difference between sweets and medicines. 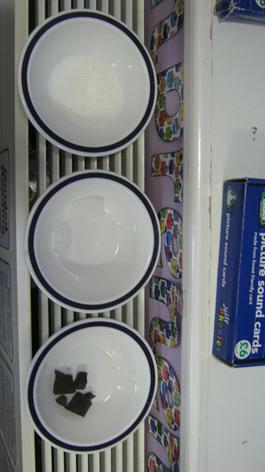 We talked about how they look similar and where we should keep medicines, so they are not mistaken for sweets. We then completed Venn diagrams on the differences and similarities between the two. 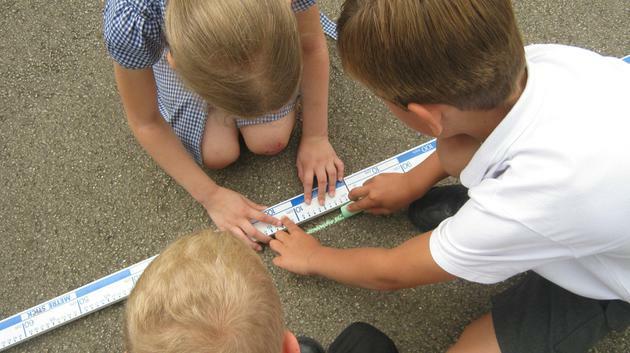 This week was all about Maths in the outdoor learning environment, with specific reference to measuring. 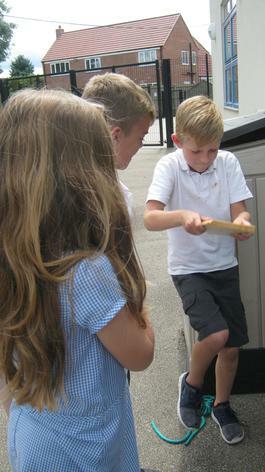 We have had fun finding objects in the outdoor environment which has a specific length. It was a little trickier at first, but with lots of fun! We had some very special visitors today. Molly and Peter from The Wishing Chair came to visit us. We needed to write down adjectives in preparation for writing a character description about them. 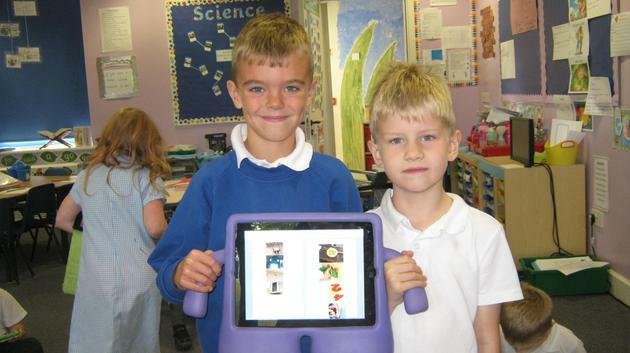 We also continued with our book creator app. 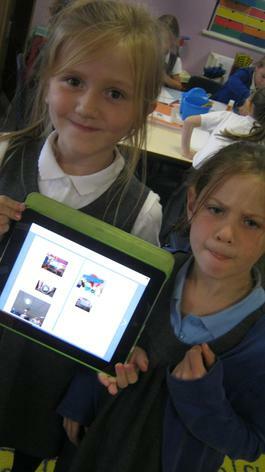 This week we learnt to insert pictures into the app and how to resize them and drag them into the correct place. Here are just a few examples of our work. We have started looking at contractions this week. This is when two words are put together to make another word. For example, do not - don't, I have - I've, we will - we'll. We have been using the contraction word kites in the writing corner to practise these. We have also started our work on The Wishing Chair stories. At the beginning of the week we retold one of the stories using role play. We then made our own version of the story, where Molly, Peter and Jinks will visit the Land of the Dreams. Watch this space to find out what happens in the story! 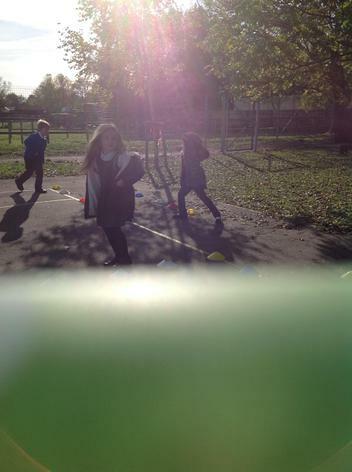 Remember our walk around the school looking for computing objects and non-computing objects? 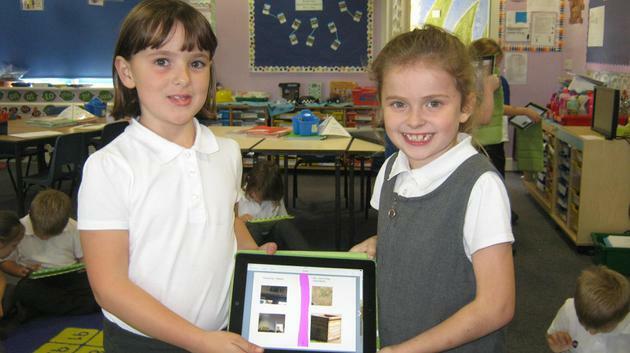 We have started creating a book using the book creator app on the iPads to showcase what we found on our walk. 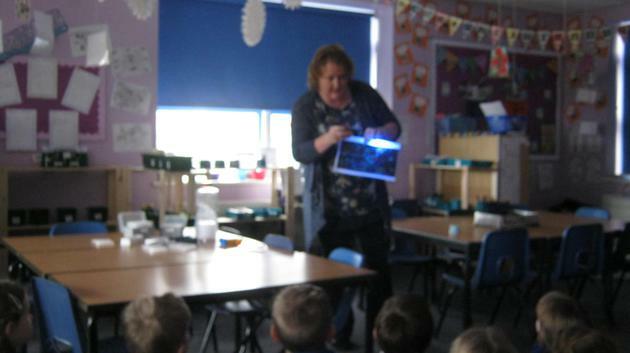 We had a visit from a police officer, PC Carol, today (Thursday) What a wonderful afternoon we have had! We learnt about the different roles a police officer can have, the different types of technology that a police officer uses (Computing) and how police officers can help us (PSHE). We also had the opportunity to ask the questions we had already written at the start of the week. Some of the questions we asked were: Do you like your job? Where does your job take you? How big is your house? 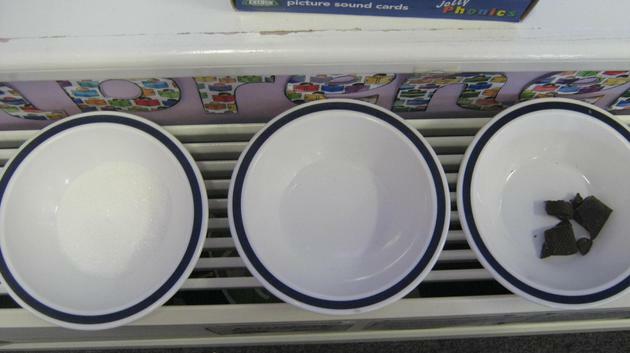 What do prisoners eat? We had fun sitting in the police car and listening to the sirens. They were very loud! We also tried some police uniform on. Here are some pictures of our visit. We have been developing our sentence skills by sorting and writing our own questions. 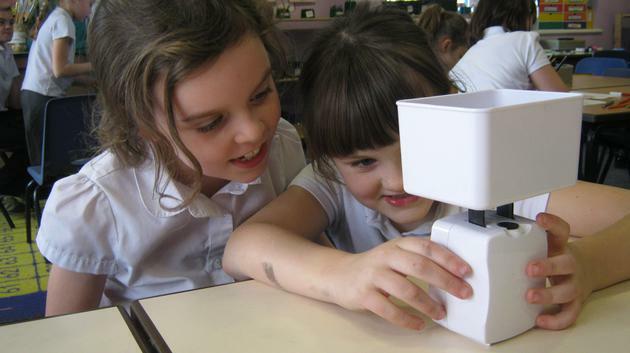 We have been developing our knowledge of 3D shapes by matching the actual shape with it's name. 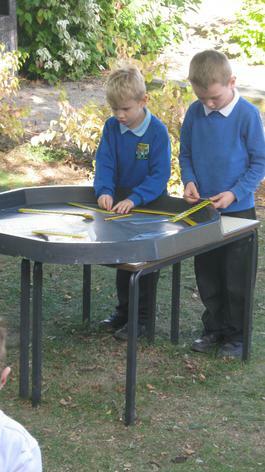 We learnt to work together as a team during this activity. 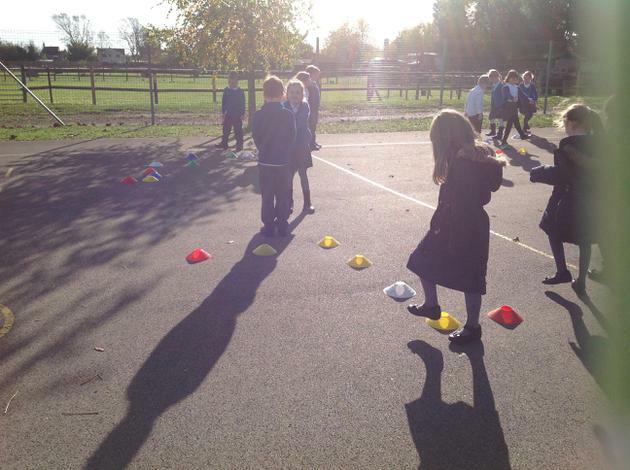 We have been using the outdoor learning environment this week to extend our learning on mixing secondary colours using primary colours. We have also been learning in History all about Edith Cavell. This week we have been creating her family tree. 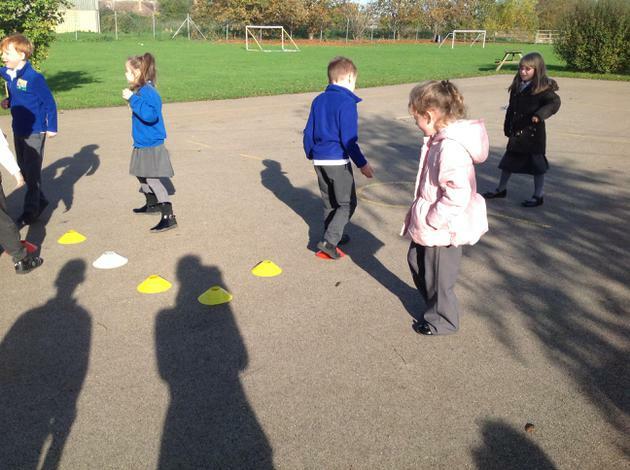 In our Computing lesson, we had a walk around the school taking pictures of the computing objects that we as a school use. 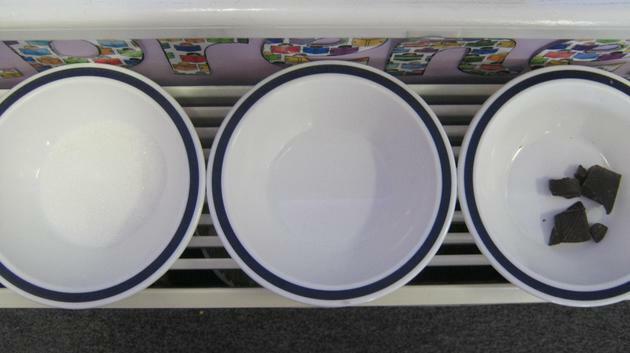 We saw computing objects that we had never even noticed before! 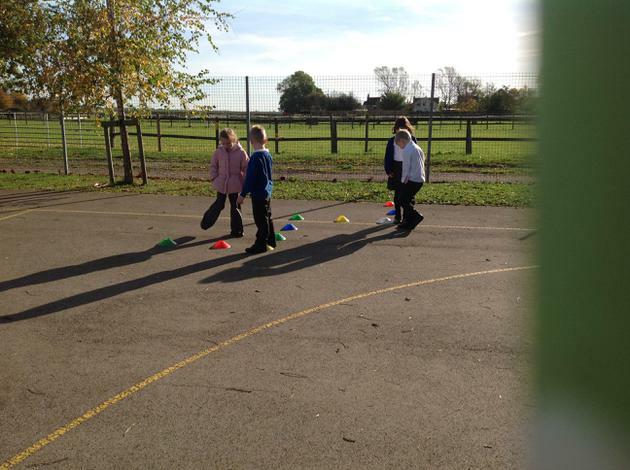 We have had a fantastic start to the Autumn term. First of all, we had 100% attendance, which is great news! This week we have learnt about adjectives, how to present a number using diennes, taking part in team building activities and creating our class rules.